Michal will perform a selection of compositions by Franz Liszt, Maurice Ravel, and Frederik Chopin. Michał Krupa began his piano studies at the age of 6. 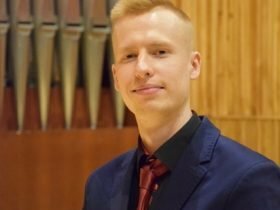 He graduated from Zespół Państwowych Szkół Muzycznych im. Grażyny Bacewicz in Koszalin, Poland. He took part in various international piano masterclasses and competitions, both in Poland and abroad, in which he worked among others with Wojciech Świtała, Andrzej Jasiński, Anna Malikova and Fumiko Eguchi. 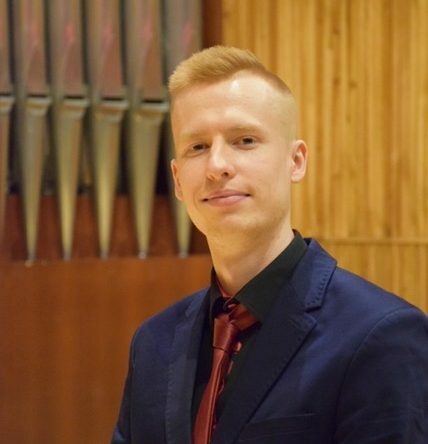 Since 2015 Michał Krupa has been studying under Professor Piotr Sałajczyk at the Academy of Music of Karol Szymanowski in Katowice and since 2018 also under Professor Piotr Banasik. He often gives recitals and performs at various events, concerts and festivals in Poland, Italy and Germany as a soloist, an accompanist and a chamber musician. He performed with Koszalin Philharmonic Orchestra thrice, in 2004 (Fantazja dziecięca – W. Wojtan), in 2015 (Franz Liszt – Piano concerto no. 1 in E flat major) and in 2018 (F. Chopin – Piano concerto no. 1 in E minor op. 11). He was a laureate of Mayor of Koszalin Prize twice.